“So it is.” – It was an expression we heard often, spoken in our father’s even, melodic tones, with a hint of an accent, faded over the past three generations, since his great-grandfather left southern Ireland. There were many lively expressions, and old customs, that surfaced from time to time, reminding us that our father had grown up in an isolated area, populated mostly by Irish and Scottish immigrants . It was a close community, where the Roman Catholics married other Roman Catholics, whose families had also come from the old country. The traditions of story-telling and singing, fiddle-playing, and hard-drinking were tempered with an absolute and unwavering devotion to family, and to the church. He grew up in a rural area where the dead were waked in the home. He recalled one particular wake where the deceased, an uncle, was laid out on the dining room table, as was the custom. The drinking had commenced long before the funeral took place in the tiny, packed, St. Patrick’s Church in Ferguson’s Falls. Some would claim that they drank to help deal with their grief, at the loss of their dearly departed. Dad said that some used any excuse to drink. Before the wake was over that night, Dad, a young boy, would see two men pour whiskey down the dead man’s throat. In the years that followed, he continued to witness the destructive powers of alcohol abuse, as it fueled conflicts, tearing families apart, and caused children to abandon their education in order to support themselves. Determined not to repeat the past, he would not tolerate the presence of alcohol in his own home. This remained unchanged from the early days of dating my mother, through the five decades that would follow, until his death. A mild natured man, reflective at times, he was hard-working, and steadfast. A farmer’s son, he loved nature, and frequently called us to come and admire the bright night sky, or a hovering hummingbird in the yard. He loved his family, and smiled proudly as we left the nest one by one, to try our luck in the world. When one of us drove away, down the lane, after a visit home, he would stand out in the yard, and wave at the car until it eventually went out of sight. In keeping with his personality, he was not a demonstrative man, and expressed his love for us in a quiet, reserved way. An avid reader, he cherished the written word, and regularly devoured the epic novels of James Michener, with some westerns by Zane Grey thrown in for good measure. He would be pleased that all five of his children became insatiable readers, and his grandchildren as well, as the passion for prose continues down through the generations. Today, on his birthday, I recall many July 15ths when we celebrated together. 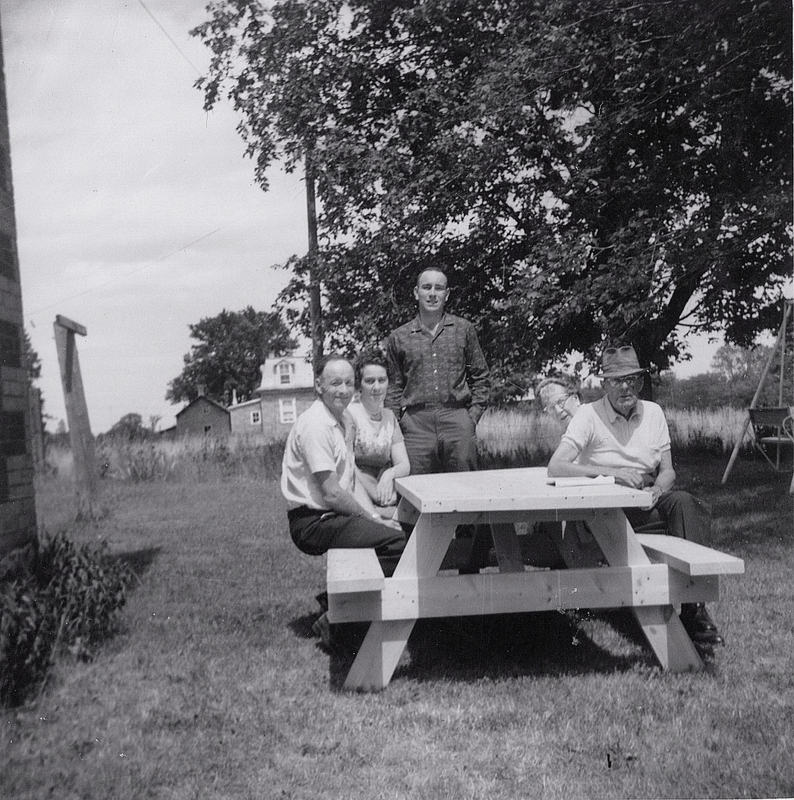 I remember the jokes and the laughter, familiar faces gathered around the weathered old picnic table, and our mother beaming, making her way across the lawn, carrying his chocolate layer cake, candles lit…. It’s a beautiful day to remember our Dad,……so it is.